Kathleen Davis, a long-time organizer with Austin Interfaith & the Industrial Areas Foundation, and a candidate to be the new Lead Organizer for Austin Interfaith, will be the featured speaker for the February 12th Rio Texas MFSA meeting at St. John’s UMC. Austin Interfaith is a non-partisan, multi-issue organization of 30+ institutions including congregations, public schools, and workers’ associations that work together to address public issues. 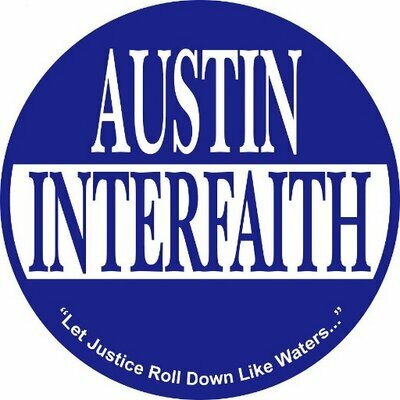 Ms Davis will be discussing Austin Interfaith’s member organizations, their issues and accomplishments for 2014, as well as the issues and directions for 2015. Three of our Austin United Methodist congregations – Saint John’s, Trinity, and University – are members of Austin Interfaith. Please join us at 6:30p for snacks and mingling; the program starts at 7p. For more information, contact Anne Mund ennadnum@hotmail.com.